There are certain flowers which perfectly embody a country or region, but surely none so much as the quintessentially British Bluebell. 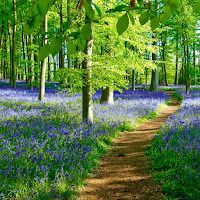 This tranquil bloom appears at the end of April in the United Kingdom and can usually be found carpeting woodlands in a stunningly fragrant watery blue. Unfortunately it is one of the florals which refuses to give up its essential oil and so always has to be created artificially, in the same way as lily of the valley, using other essences. There are still only two interpretations which truly vie for the top spot, so let's look forward to warmer months and rediscover the Bluebell. For such a famous flower it is surprising how few times it has been issued as a fragrance. 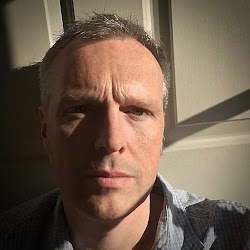 Some listings include the 1902 offering by Bailey of Boston, the 1981 Boots eau de toilette which was released as part of its No7 fragrance range, and the 2015 Yardley fragrance created by Pierre Kurzenne. My two star choices though are the offerings by Penhaligon's and Jo Malone, although both take very different directions. 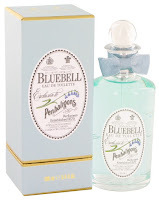 Penhaligon's Bluebell was created in 1978 by Michael Pickthall, and although the new version has been slightly modified, as you would expect after thirty eight years, it still retains the simple charm which has made it a staple of the company's lineup. Michael's vision was to capture the freshness which is so associated with the wooded habitat of this flower whilst still providing an exquisite floral. It opens with an attention grabbing green citrus before starting to reveal a watery quality, which is always associated with this flower. 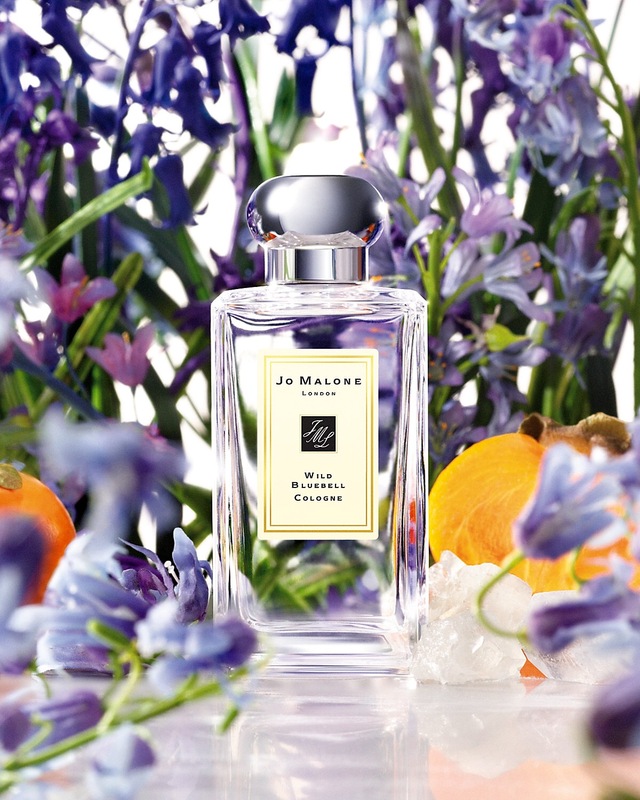 The actual scent of the flower is provided by the perfect blending of hyacinth, jasmine and cyclamen with just a hint of that elusive lily of the valley. It was originally available as a perfume but is now only found as an eau de toilette, which is still breathtakingly beautiful. 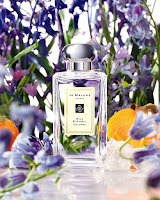 Jo Malone's Wild Bluebell debuted in 2011 and was created by Christine Nagel. 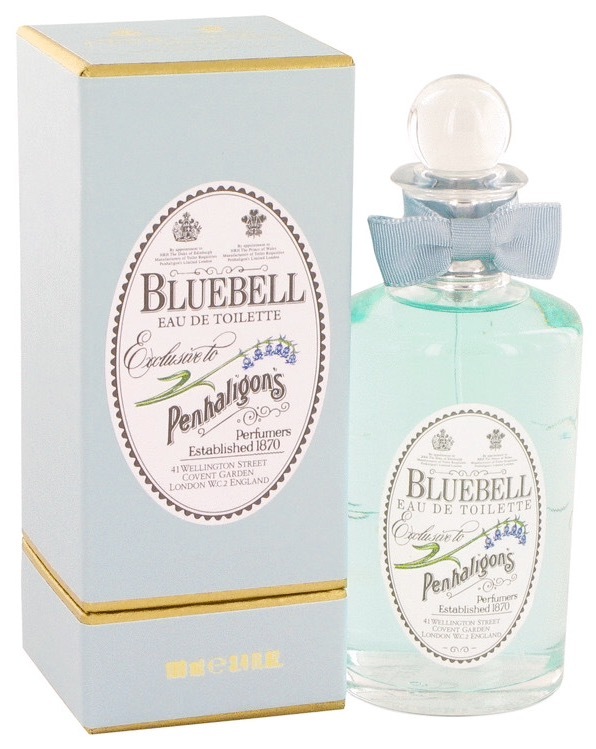 Described as "an imaginative scent, drenched in the delicate sweetness of sapphire blooms", it was a completely different take on the flower compared to Penhaligon's version and deliberately appealed to a different audience. This interpretation is a less strident and more candied affair. You are immediately hit with a smooth amber and musk pairing. The delicate fruity floral notes, including jasmine and rose, almost come out from the centre of this. 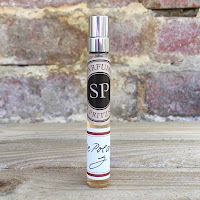 There is a clove to add a slight edge to the fragrance but this is not a perfume designed to challenge. You cannot escape the white musk here, and the fragrance perfectly fits the lady who is looking to play with florals in a fleeting form. Whichever one you choose, remember that you are wearing the quintessentially British bloom. Whether fresh or candied, enjoy your walk through the woods.